I had some leftovers from the Mutton curry I prepared yesterday and I didnt feel like having it with rice or roti. 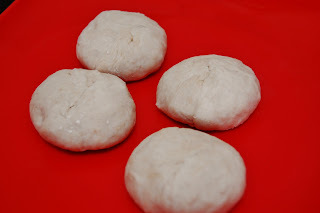 With that thought a sudden idea of preparing egg mutton roll clicked my mind. 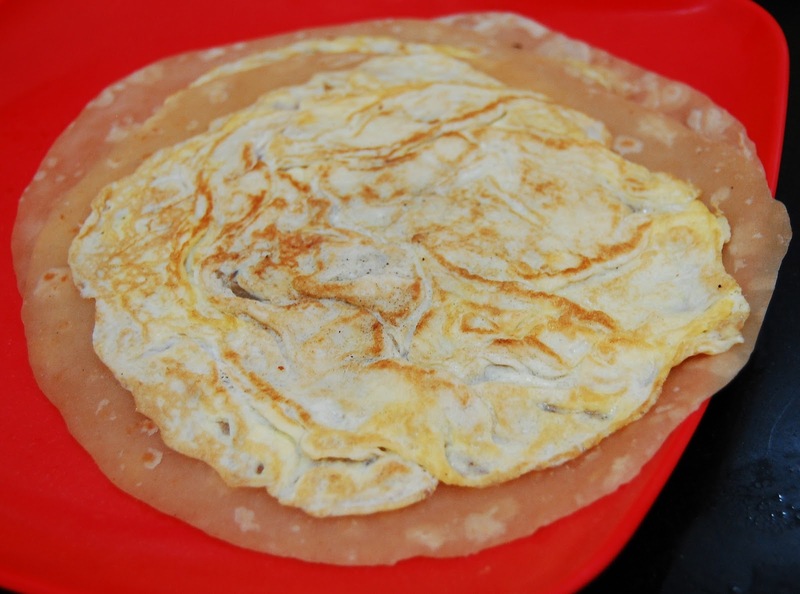 Egg mutton roll is a popular roadside snack savoured by Bengalis in Kolkata. Atleast one food stall in every alley within Kolkata has this item selling like hot cake. Egg mutton roll belongs to the same fraternity of egg chicken roll and egg roll. Kolkata is dotted with makeshift shops that proudly fulfill the fast food craving of its inhabitants by an array of choices including rolls, chops, phuchkas and other such mouthwatering delicacies. In Bangalore, such roadside delicacy is rather difficult to find. Sigh ! 2. Roll the balls flat into a circle shape like paratha. Then take a non sticky skillet and lightly fry the parathas and keep them aside. 4. Now comes the easiest but the most important step i.e arrangement of components in proper order. 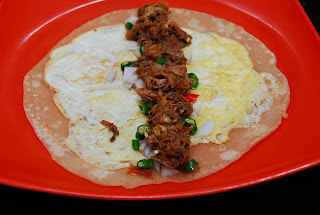 Just through the middle of the paratha, form a layer of onion pieces, green chillies and mutton pieces. Squeeze lemon juice along the layer. 5. 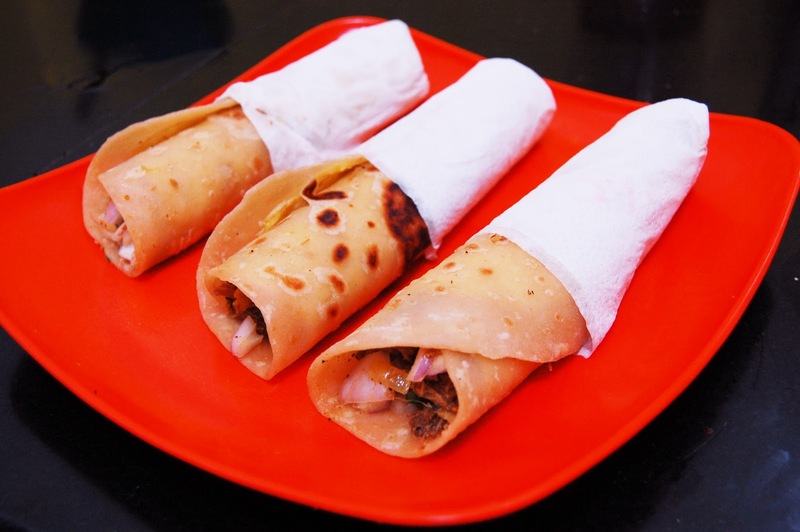 Finally wrap the paratha into a roll. 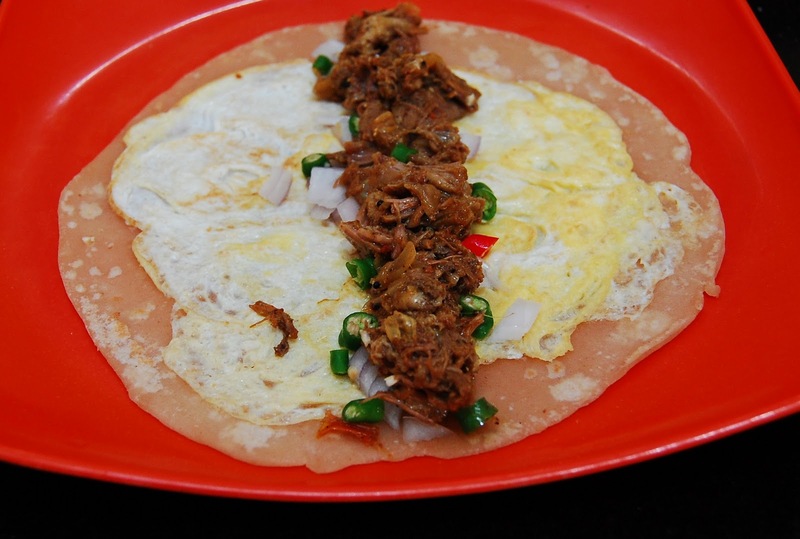 Egg Mutton Roll is now ready to serve. That motton roll dish looks so amazing. Perfect dish to make on the grill. Will try some time.